In order to grow large and healthy turkeys, it is necessary to treat turkeys. Usually diseases are caused by improper care and feeding. For the prevention and treatment used drugs such as "Furazolidone", "Lauritzen" and others. Certain diseases turkeys can be avoided if in time to take preventive measures. First of all, the right must be content to Chicks. It is necessary that each individual had at least 0.5 sq. meter of total area. Adults should be kept separate from the youngsters. 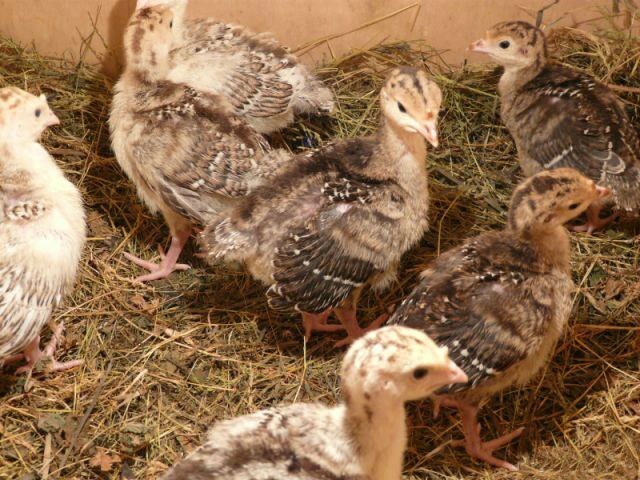 Prevention of diseases in turkeys lies in providing normal living conditions of the Chicks. For example, it is important that the ambient temperature does not fall below 37 o C. And the lighting should be around the clock. Under these conditions, the turkeys will get stronger much sooner. It is extremely important to prevent in the first ten days of life to give Chicks "Furazolidone". In no case should not drink Chicks cold water and it is compulsory to seven-time regime of the feeding mash. It is desirable that they were made by hand. One of the most common diseases of Turkey Chicks is aspergillosis that affects the respiratory organs. Mortality from the disease is 50 percent. Usually aspergillosis is caused by a fungus, which is a dirty litter. Special treatment from this disease can not exist, so you should regularly clean the house. If the room is too small for a large number of turkeys and they receive less vitamin a may occur infectious sinusitis. In this case, again, it is better to consider the conditions of the birds. Often, the turkeys have problems related to diseases of the gastrointestinal tract. In order to get rid of pasteurellosis (white diarrhea), it is recommended to add in water birds crystals of potassium permanganate. Chicks up to the age of months may suffer from such stomach diseases as paratyphoid. In this case, you need to give the turkeys "Lautari" or "Meater". In five liters of water should dissolve at least 10 grams of drugs. You can also use "Trimarin". A day should be given one gram per kilogram of body weight of one individual. Turkeys often suffer from diseases of the liver and intestines. In this case, treat "Furazolidone". But when trichomoniasis Chicks give Trihopol". The dose should not exceed 30 mg per kilogram of feed for two days. Then the dose can be reduced to 20 mg by the Way in the treatment of various diseases of turkeys is extremely important to comply with the terms of appointment and dosage.